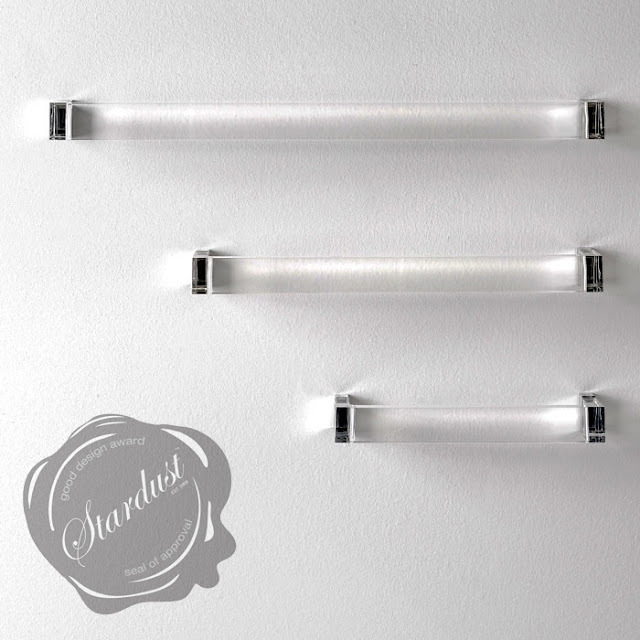 Kartell Rail by Laufen Design from Stardust Modern Design, a modern towel bar with transparent rod. Simply beautiful! 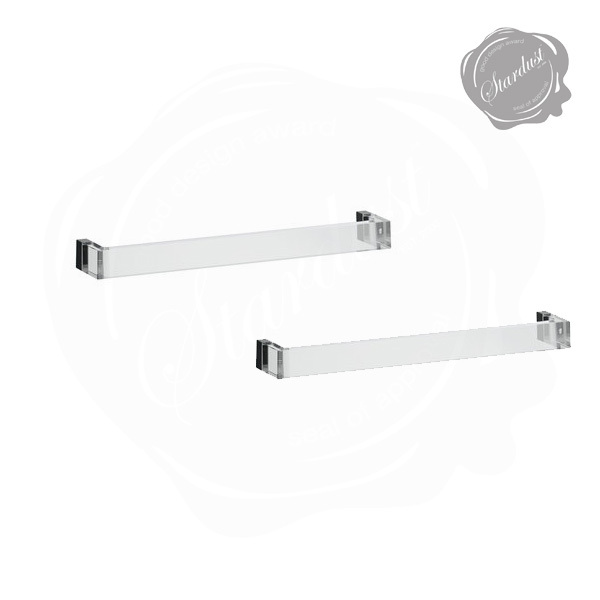 The classic towel bar gets a sophisticated updated with a transparent acrylic-like rail rod. 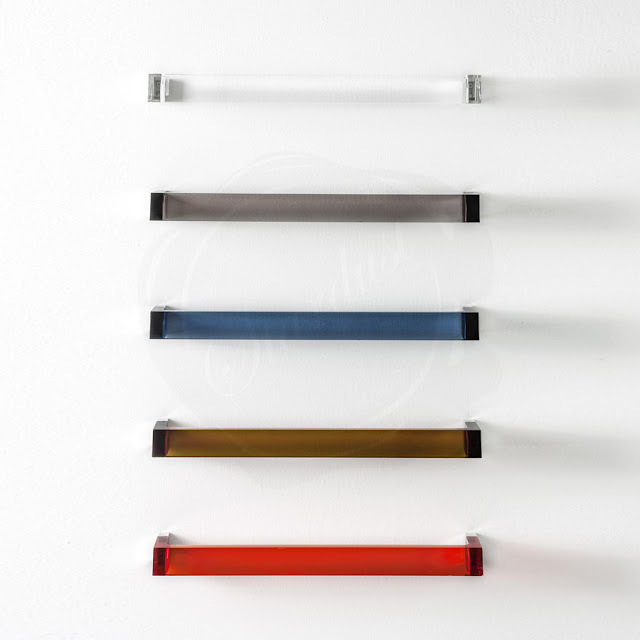 A beautiful modern towel rail bar updated with a transparent towel bar in either crystal, tangerine orange, amber, smoke or sunset blue. A most welcome bathroom accessory that will make impact in any bathroom with a minimum amount of effort. 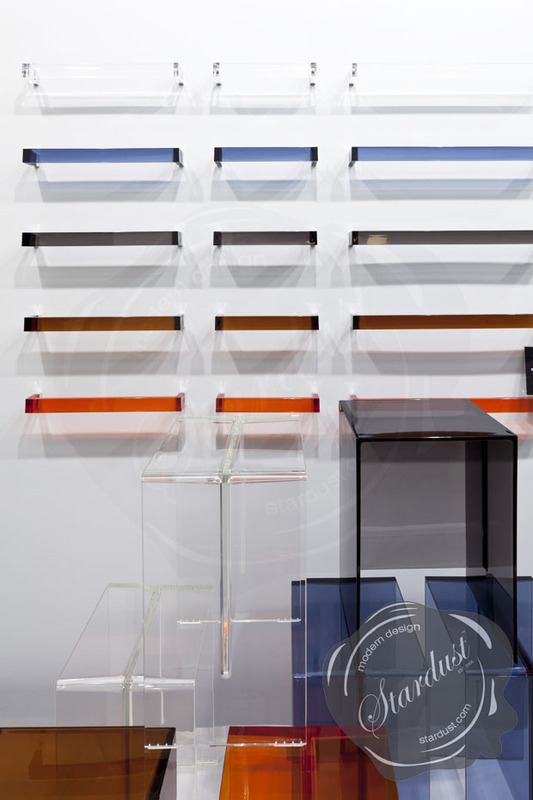 Rail was designed by Italian designers Ludovica & Roberto Paolomba for the Laufen bathroom collection by Kartell. 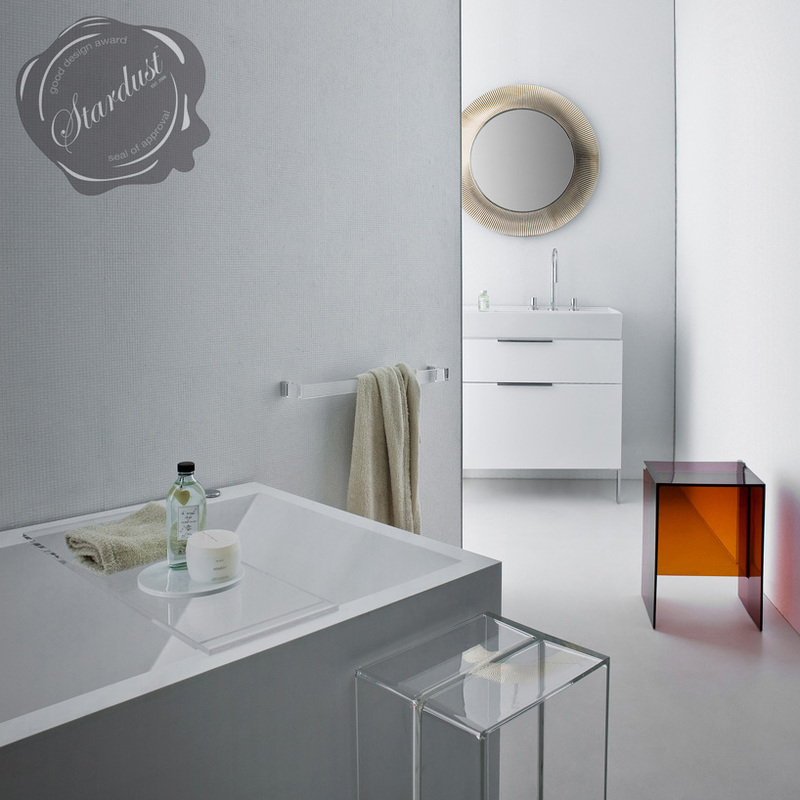 With its clean edges and transparent bar, Rail pares bath design down to an elegant, elemental form.Kartell's. 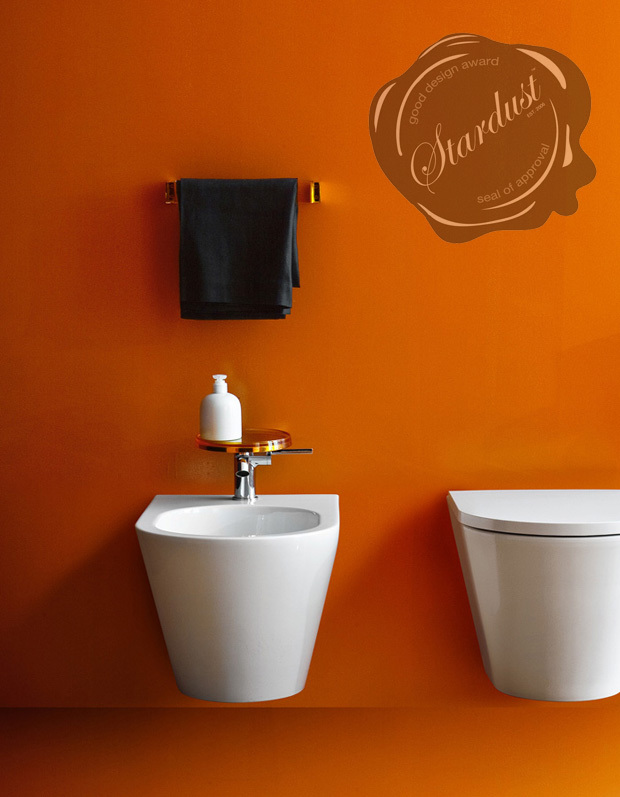 Rail is perfect for people who desire to bring a touch of sleek Italian design into their bathrooms. This beautiful modern towel bar is functional, unique and beautiful. 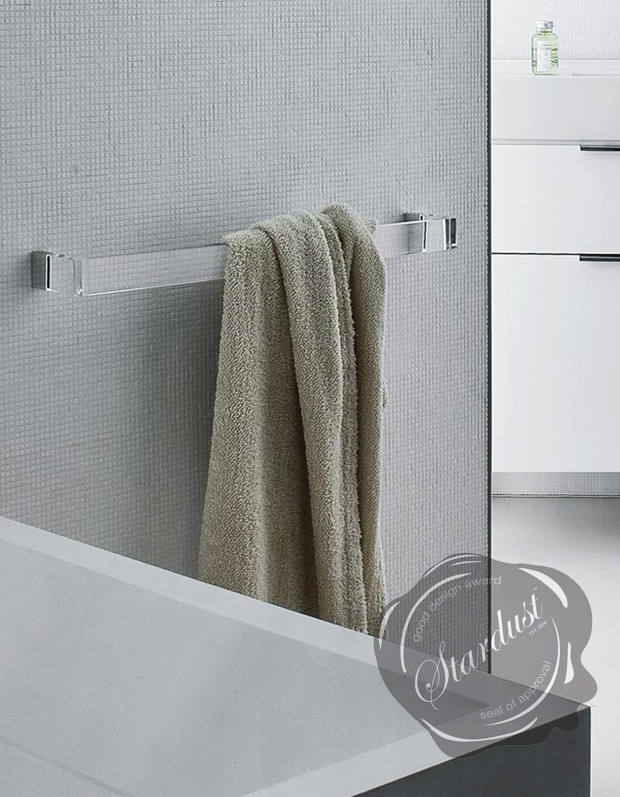 This picture-perfect minimalist towel bar with transparent rod is destined to become a design classic. 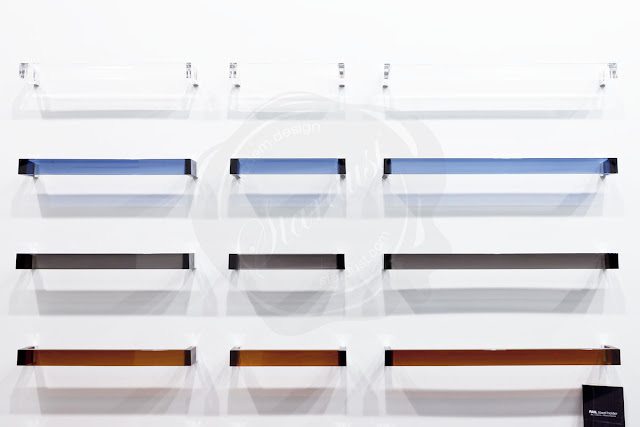 A functional object for everyday use that can be used anywhere in the bathroom thanks to its combination of lightness with solidity and practicality with style. Easy to attach to bathroom walls.